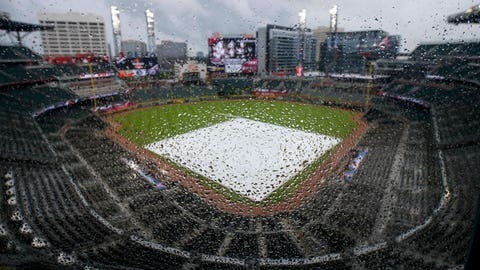 The Miami Marlins versus Atlanta Braves game on Wednesday, Aug. 1, was postponed due to inclement weather and has been rescheduled for Monday, Aug. 13. FOX Sports Southeast will televise the game as part of a day/night doubleheader. The postponed game will start at 1:30 p.m. ET; coverage will begin with Braves LIVE at 1:00 p.m. ET. The second game will be played as previously scheduled at 7:30 p.m. ET, with Braves LIVE at 7:00 p.m. ET. Both games will be followed by Braves LIVE postgame shows, and all programming will be streamed on the FOX Sports GO app. The Braves return to FOX Sports Southeast tonight, Aug. 2, against the New York Mets. Coverage will begin at 6:30 p.m. ET with Braves LIVE.